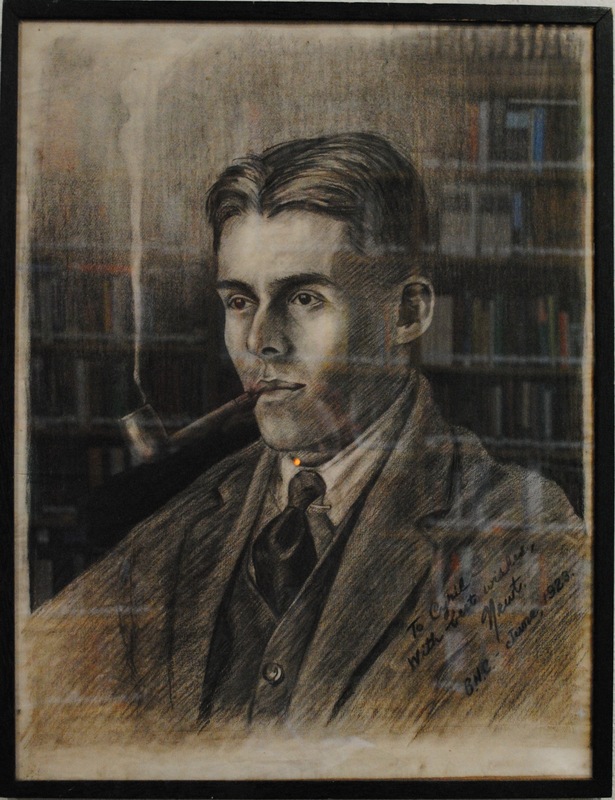 The library recently acquired a pencil and charcoal portrait of Cyril Pearce Harvey who read law at BNC. The portrait, dated 1923, is by a friend of his, an American Rhodes Scholar named Hank Newton, known as “Newt” who was also a member of Brasenose in the 1920’s. The portrait was kindly presented to us by Cyril’s son, Anthony Harvey in early November this year and is now hanging in the Stallybrass Library. Cyril Harvey came to Brasenose in 1919 and obtained Firsts in Jurisprudence (1922) and BCL (1923). He won the Vinerian Scholarship (1923) and was extremely popular in college. In 1923 he was called to the Bar by the Inner Temple. He became a KC in 1950 and was elected a Bencher of the Inner Temple in 1958. Obituaries can be found on pages 226-228 of the Brazen Nose Volume XIV 1965- 1968. This entry was posted in Books, Library and tagged Brasenose, Brasenose College, CyrilPearceHarveyQ.C., Stallybrass. Bookmark the permalink.